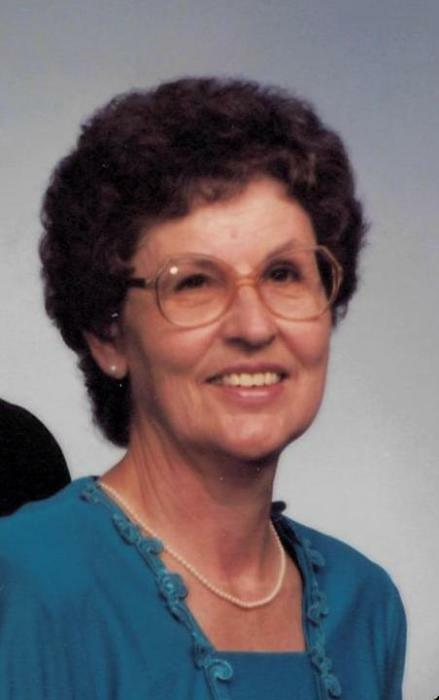 Janet R. Dickensheets (Thompson), 82, passed away on Friday, March 15, 2019. She was born on November 29, 1936, in Huntington County, Indiana, to the late Nigle and Ethel (Speicher) Thompson. Janet graduated from Van Buren High School, class of 1954. She married her loving husband, Kenneth "Ken" Dickensheets on November 1, 1958, at Morris Chapel Church, Marion, Indiana. She worked as an office secretary at RCA/Thomson's for 46 years. Janet enjoyed golfing, gardening, playing the piano, knitting, crocheting, sewing, drawing, crossword puzzles, playing cards, bowling, and roller skating competitions when she was younger. Janet is survived by her husband, Ken Dickensheets, Marion; daughter, Jill (Tim) Fosnough, Fayetteville, GA; siblings, Lula (Richard Latson) Shephard, South Bend; Gladys (Jerry) Johns, Gainesville, GA; Byron "Buck" (Mary) Thompson, Marion; and Garth (Eileen) Thompson, Warren; grandchildren, Tara (Joe) Spooner, Newnan, GA; and Kelsey (Brian) Martinez, Gainesville, GA. Arrangements for Janet have been entrusted to the College Park Chapel of Armes-Hunt Funeral Home & Cremation Services, 4601 S. Western Avenue, Marion, Indiana 46953, where a visitation will be held on Thursday, March 21, 2019, from 1:00 P.M. - 2:00 P.M. The funeral service will also be held on Thursday, March 21, 2019, at 2:00 P.M. Burial will immediately follow at Grant Memorial Park, Marion, Indiana. Contributions made in honor of Janet can be made to donor's choice.